sectetuer adipiscing elit, sed diam nonummy nibh dolor sit elit, sed diam nonummy nibh adipiscing elit, sed diam nonummy. Search Engine Optimization (SEO) is the latest marketing technique to improve the website ranking in the search engines such as Google, Yahoo, Bing, etc. Our Basic SEO course will provide you with a wide-ranging understanding of the fundamentals of SEO and demonstrates how to put into operation the basic SEO techniques and start to get your website on Google at # 1. Our six weeks long Basic SEO course covers the introduction, understanding of search engines, keyword research, selection of domain, on page optimization, off page optimization, additional on page optimization technique, types of SEO and reporting and management tool, etc. 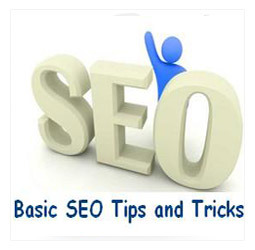 The Basic SEO course has been designed for people willing to learn how to optimize a website. In fact a number of SEO companies have started mushrooming all over our country and prefer candidates with a through knowledge on SEO or Basic SEO certified. Besides these, some of the top companies are also hiring SEO certified candidates to improve the organizations online strategy. Basic SEO training program is a bright career option for students, business owners and people who are into online marketing or advertising. Classes from Monday to Saturday. Special Weekend SEO Classes also available every Saturday and Sunday. White Hat SEO What to do if your site has been penalized?